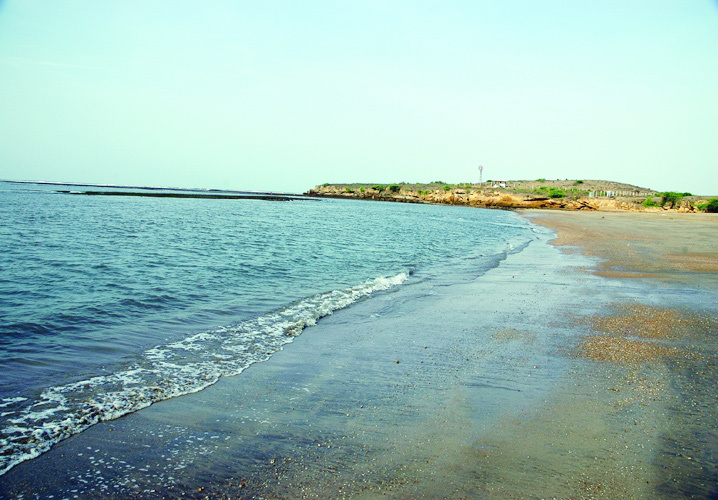 Gujarat is an Indian state whose entire western border is washed by the Arabian Sea. All along the state’s coastline that makes up the western periphery of Gujarat are maritime cities and towns that can take pride in their history going back several millenniums. Also neighboring these urban settlements are some of the most spectacular and stunning beaches in India that are visited by holidaymakers and vacationists from all over the world. One such beach is the Sarkeshwar Beach that remains largely unexplored and is yet to be marauded by the aggressive forces of commercial tourism. The topography of the beach is mostly rocky and the sand on the seashore is composed of shingles, gravel, pebbles and cobblestone dust. Owing to the beach’s natural beauty that largely remains unspoilt and unsullied by the decadence of modern-day commerce, you’ll simply enjoy your visit to the spot. The waters of the Arabian Sea around the Sarkeshwar seashore has a unique aquamarine hue that has a soothing or calming effect on you as stand on the beach watching the waves rolling bye. The shallowness of the water up to an extent of the sea is congenial for swimming. It is the splendid isolation of the surroundings that will increasingly endear to you and you’ll want to spend as much time as possible here. Numerous sightseeing spots in the vicinity of the beach including Una, Gir National Park, Kankai, Doneshwar Mahadev Temple, Gayatri Temple and Shreenathji Haveli (to name a few) must be visited. One should also not miss visiting the several Hindu, Jain, and Muslim Temples close to the coast. 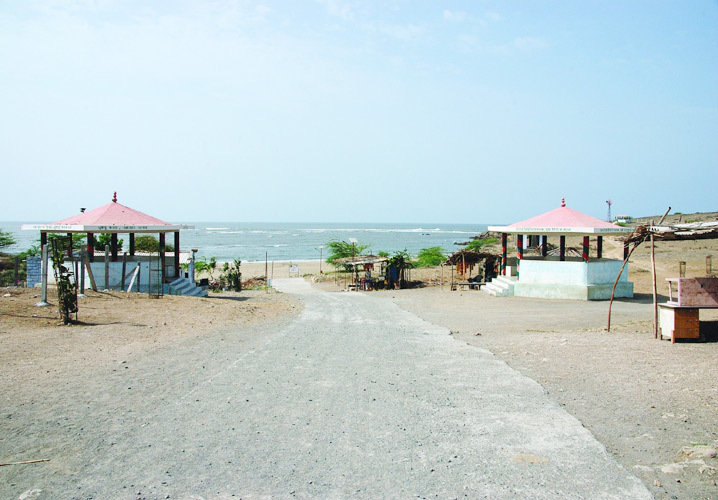 A special kind in its own, these beaches have remained among the sparsely visited beaches in the state. It has for years remained undefined, undeveloped, undeclared and undiscovered. They are known as wild beaches and have been popular for the untouched scenic beauty and the well-preserved nature all over. One of the other interesting things about this beach is the fact that these kind of beaches are mostly found in countries like Puerto Rico, Thailand or Indonesia. The Sarkeshwar Beach is in Junagadh district on the southernmost point in the Saurashtra zone and Diu, a Union Territory is quite near to the beach. The Sarkeshwar is best approached from the township of Jaffrabad, particularly from its south-western section, Amreli. From Amreli, the coastline is just 10kms away. 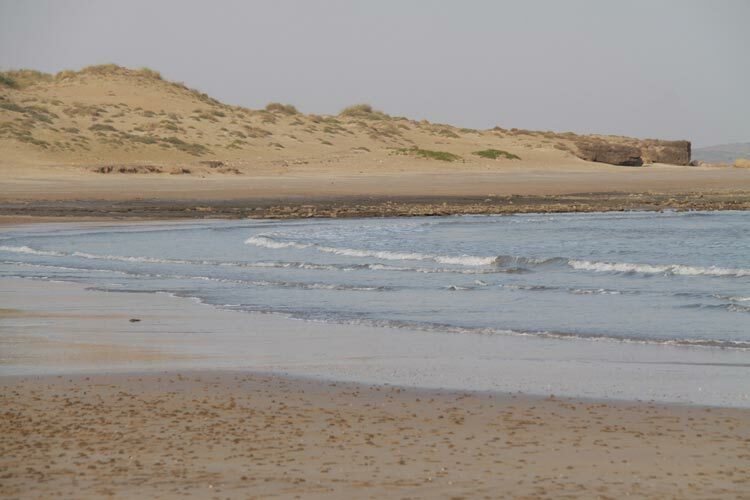 The best time to visit the beach at Sarkeshwar is during the winter months when the weather is perfect for touring.